The compass is without a doubt one of the most important inventions of all time. 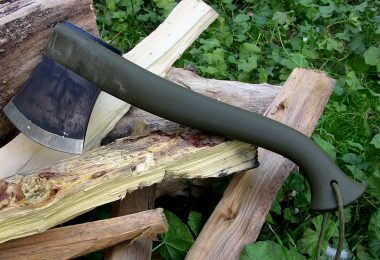 It is a valuable tool that any outdoor enthusiast should have especially if you don’t want to waste time finding the right direction. Using a compass is not as easy as it may seem. Yes, you can just point it out to a particular direction and know whether it is north or south. But how do you verify that veracity and precision of your compass? Just because a compass is heading you towards the northern direction does not mean that you get it all right. Reading the map alone can already be really confusing and challenging. Talk about longitudes and latitudes! How to adjust compass declination? Many would even ask what it is about and how to fix it. In the same way as how tools fail, it is also the same with a compass. There are times where you might experience the so-called magnetic declination. What is a magnetic declination? Unfortunately, a lot of people are not even aware of this. 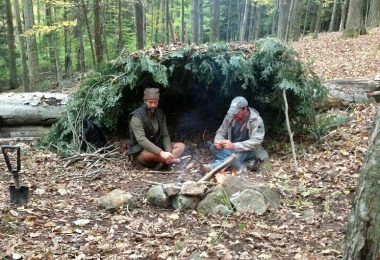 For seasoned veterans who are always outdoors and who have been using a compass, this is a technique that they have already mastered. When your compass points out towards the magnetic north pole and then the map is pointing towards the geographic north pole, you need to know that these two are not exactly the same place. It gets more complicated and a whole lot confusing when there is UTM-Grid in hiking maps. These kinds of grids do not have a north pole. But there are also cases where the grid would cover the map so you can always utilize meridians. A compass doesn’t always point to the right north direction especially when it is attracted by some magnetic force that is produced by the core of the Earth and this greatly varies in various parts. In addition, this is also changing. For instance, the direction where the compass points out to is the Magnetic North and that angle between the True North and the Magnetic North is what you call the variation or the magnetic declination. 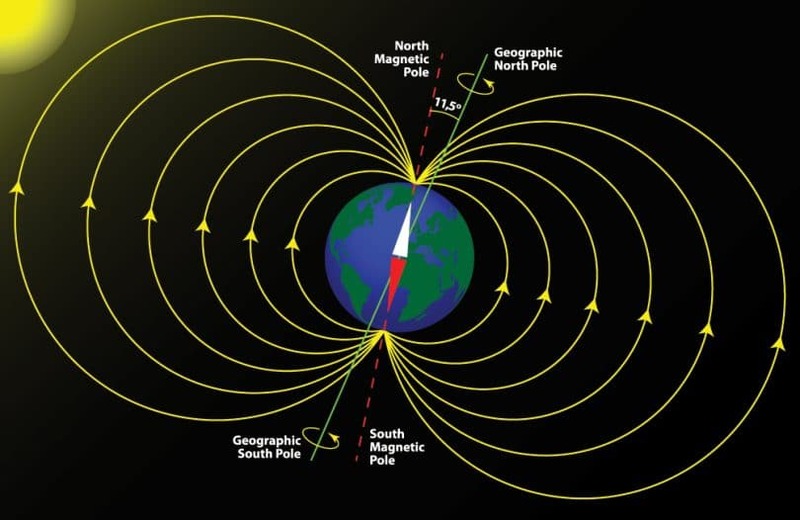 The declination refers to the different between north magnetic and north geographic pole. Take a look at the US map. In 2010, it has pointed out the certain angles of declination. In the map, you can see the black line that is labeled 0° that runs down to the Mississippi River. There is no declination in this particular spot since the magnetic north and the geographic north poles are aligned. However, if you go to the Eastern part of the line the magnetic north will pull your compass to the western side of the geographic north. This is the West Declination. If you move to the western side of the river, it will pull the compass further to the Eastern side. This is where it gets really challenging. If you don’t know about magnetic declination and all these stuff, how will you find a way? Your compass is heading you in a different direction. That is why it helps if your topographic map has points of declination printed in it. In a way, at least you know where the specific points of declinations are. Just keep in mind that you need to at least have an updated map. There is no point of using the declination information from a map that is really old. Get a map that is recently published so you know the current declination points. The complexity of dealing with precision in compass does not just stop with knowing what a magnetic declination is. In fact, there are positive and negative variations. When you look at the map, it shows you the difference between the true north and the magnetic north. 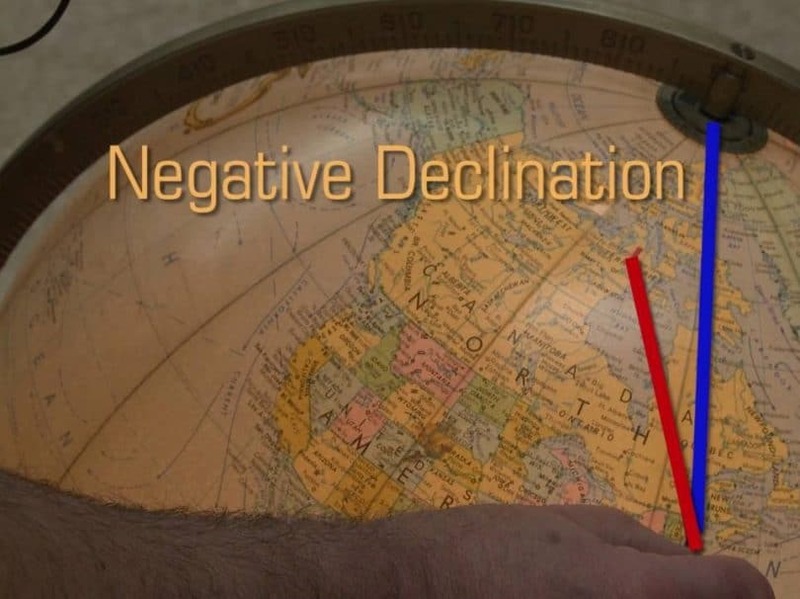 If the angle to the magnetic north is less than 360 degrees of the true north, this is known as the negative declination. For magnetic north to the east of true north and the angle to the former is bigger than the true north, you have a positive declination. How is it compensated? If it is a negative declination you need to add the variation to the compass bearing. On the opposite, if it is a positive declination you should subtract the variation to the compass bearing. So how do you fix the problem? There are actually ways for you to adjust the magnetic declination. You can twist the ring using a screw or you can also change the orienting arrow. You can also opt for the top compass watch to give you more opions. For instance, if you are using a compass with 0 degrees declination in a particular area where the variation is 12 degrees East, when you read the compass it tells you that you are going to the north direction even when you are actually going go 12° east of north. When this happens, you might get lost. To solve the problem, you need to adjust your compass in such a way that it matches the declination on your map. How do you do it? The arrow should not be at the center. When you look at the compass you can see the index pointer is now the true north and if you compared it with your map, it is correct. When doing this method, you should also continue checking your chart and location. It might look a bit odd especially when the north end of your compass does not really point straight at the N.
Now, what do you do if your compass now has declination adjustment? If you like math, there is also another way to do it. You can use some mental calculations. For instance, if you are in a particular area with 12° East declination, you just have to minus 12° your compass’ heading. So if you read 250° in your compass, it has a deviation of 12° so if you really want to head to 250°, you need to subtract 12° which gives you 238°. You are now heading in the right direction. How to Use a Compass? Now that you have some knowledge variations, the next step is to effectively use it. Compared to the previous one, this is a very easy and straightforward lesson. If it is your first time to use a compass, the very first thing that you have to learn would be the directions: North, South, East and West. Among these directions, North is the most important. When you have completely familiarized yourself, you are now ready to use your compass. For instance, if you want to head north-east then you have to find where on the compass housing leads to the north-east direction. This is where the arrow meets the compass housing. When holding the compass, make sure that you hold it flat in your hands. Slightly turn the whole compass but the housing should not turn. Do this until you see compass needle is properly aligned with the compass lines. In your compass, you have the black and red arrow. This is what you call the compass needle. Some compasses may use red and white instead of red and black. But whatever the color combination is, always keep in mind that the red arrow points to the magnetic north pole. This is the very basic thing that you need to know and to identify. What if you want to head to a different direction instead of heading north? Look at the compass housing, there you will see a scale. These scales are what you call the azimuth. You can also find the letters that represent the different directions. 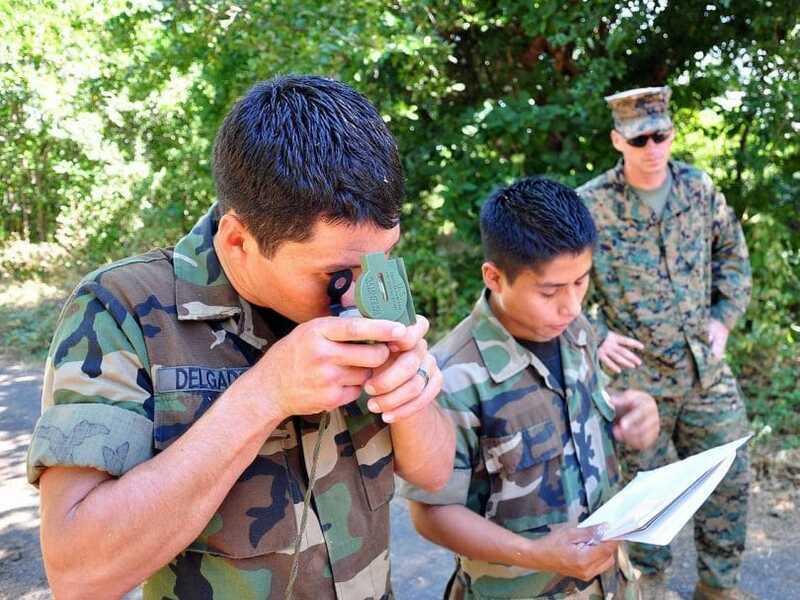 There are several instances where people experience problems using a compass. For instance, if you have an iron, it might affect the arrow. The reason behind this is that it can result in magnetic attraction. So make sure that there isn’t anything like that around your compass. When you know that you get it right, the next step is to go to the direction where the arrow is leading you. Always be careful when you are reading your compass and pay attention to it. 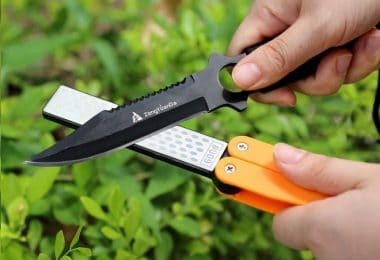 Now even if let’s say that your compass will help you lead the way and point you in the right direction, you cannot entirely rely on this tool alone. One of the things that you should watch out for is the sun. If for instance you are going to the northern direction and you have the sun shining in your face, you should know that there is something wrong. This is an essential technique that you can use if you do not have a map. When you simply do not know where you are, you can rely on the sun and even the stars. 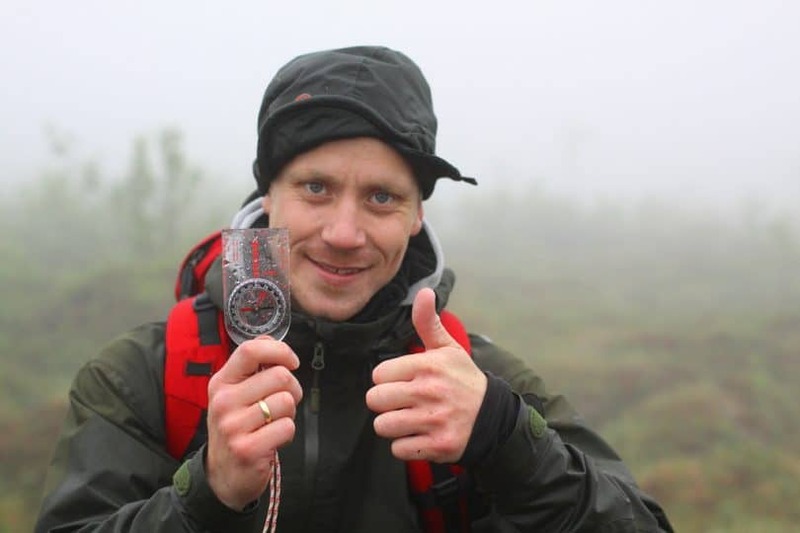 How to Orient the Map with Your Orienteering Compass? Step 1: Spread the map so you can see the complete details. Step 2: Set the compass dial to 000 degrees. 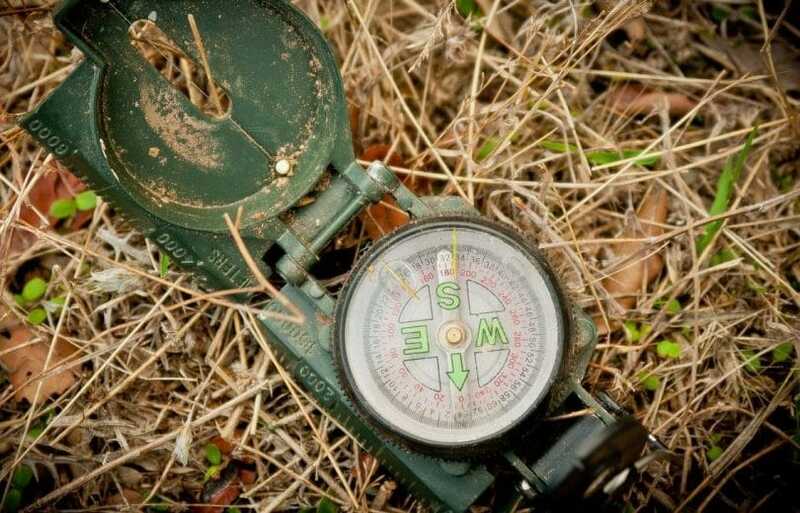 Step 3: Make sure that the base plate of your compass is lined up with the N-S lines of your map. Step 4: The map and the compass should now be a unit. Step 1: Same as with orienteering compass, spread out the map. Step 2: The line base plate of the compass should be in light with the N-S lines of the map. Step 3: Both the map and the compass now serve as a unit. Wait until you see a magnetic arrow that is under the black line. Step 4: Keep in mind that your map is not yet completely oriented especially since it will depend on the value of declination. For instance, let’s say that the variation is 15 degrees. If it is a west declination, you turn the map as well as the compass in a way where the magnetic arrow rests at 15 degrees to the western side of north. There you will see that the 15 degrees mark on the compass dial will now be under the black line. 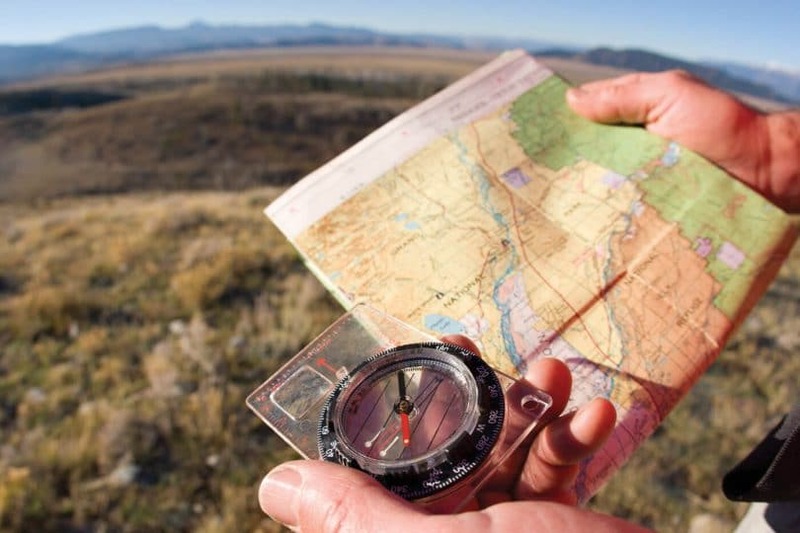 The compass is a very useful tool when you are outdoors. It serves as your guide so you know the right directions and you can arrive at a particular location. But you also need to know how to use it effectively. 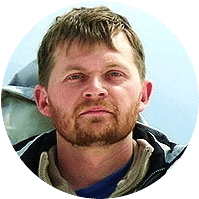 In as much as it appears like a very easy and a no-brainer tool, there are a lot of people who still end up getting lost in the wilderness even if they compass and maps. That is why it helps that you equip yourself with the different ways on how to use the compass and the different problems that most people encounter when they are using their compass. 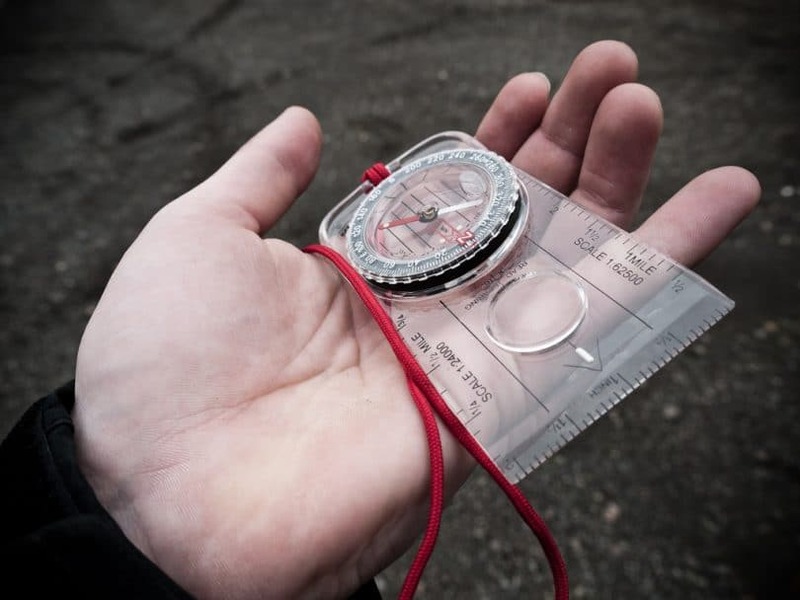 Find the type of compass that you are comfortable using and make sure that you go beyond just the basics of the tool so you know what to do in case you get lost. 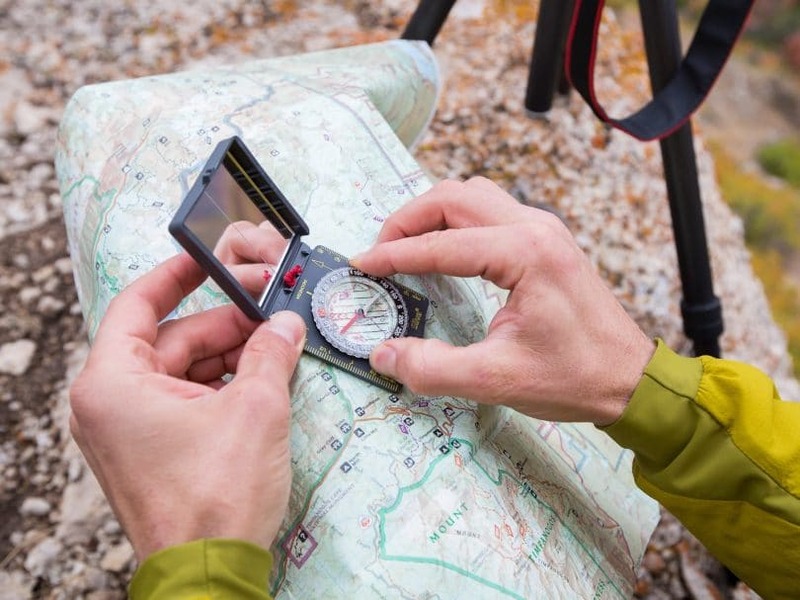 Do check out our reviews of the best hiking compass that you can use for any upcoming sites!